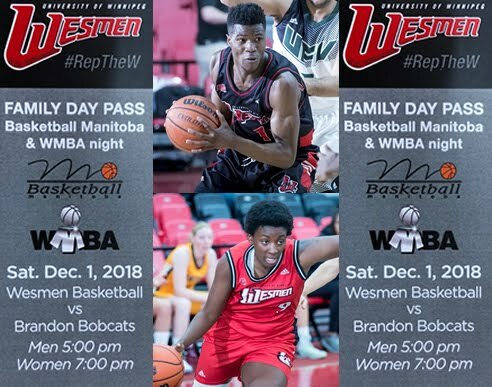 The Winnipeg Minor Basketball Association has announced that Saturday, December 1st is WMBA night with the Wesmen. 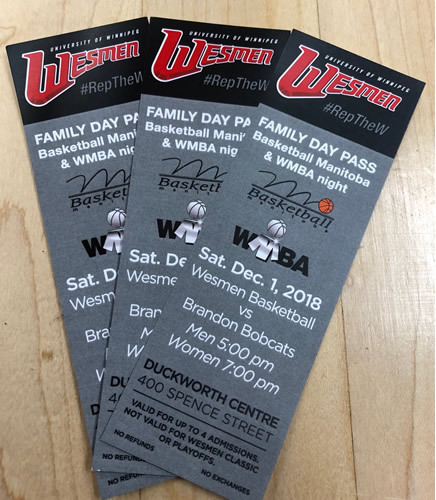 Both Wesmen teams play the Brandon Bobcats and each game will feature some young athletes at halftime. WMBA athletes will receive a Family Pass good for up to 4 admissions for the day. Teams that are interested in playing at halftime are encouraged to have their coach contact the WMBA office via email, info@wmba.ca. Family Pass (4 admissions) for all WMBA players.